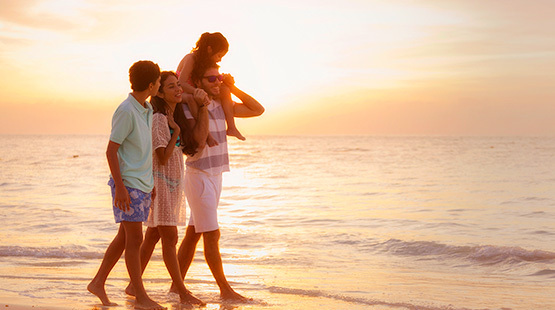 Surrounded by the natural beauties of Playa del Carmen, located in one of the most exclusive and private golf communities, The Royal Haciendas All Suites Resort & Spa is one of the best family resorts by the beach. Its facilities feature an architecture that transports guests to a typical hacienda in Yucatan, which combined with the comfort of its suites and villas, incredible amenities, the best service, the beautiful soft sand beaches and the turquoise blue sea, where you will spend hours of relaxation and fun, creates the perfect atmosphere to live an unforgettable vacation in this All Inclusive resort in Playa del Carmen. 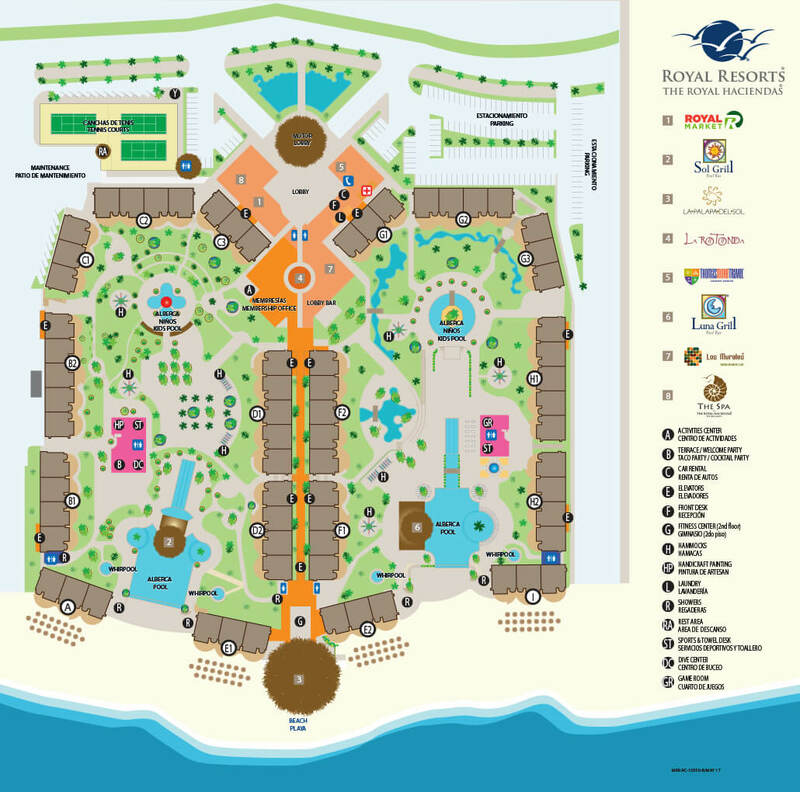 Enjoy the pools, Jacuzzis, bars and restaurants, the Activity Center, the best tours, the Kid's Club, incredible golf evenings and the best views of this magnificent beachfront resort. Nothing better than resting in your own elegant and spacious suite or villa in Playa del Carmen, enjoying an unbeatable accommodation with the excellent amenities and services that we offer in our All Inclusive hotel in Playa del Carmen. The best views of the Caribbean Sea are at The Royal Haciendas Resort. We have everything you are looking for to delight your palate during your vacation in Playa del Carmen. In the restaurants of our beachfront resort, you will also have the greatest views of the beach and the sea. Enjoy the best dishes of the national and international cuisine, seafood, à la carte dinners and buffets in the best restaurants in Playa del Carmen. Make the most of your vacation in Playa del Carmen, visit the soft sandy beaches and immerse yourself in the crystal-clear waters of the Caribbean Sea, but also take advantage of the family activities of this resort in the Riviera Maya, Tours, gym, spa treatments and the best entertainment in Playa del Carmen. Our activities program has something fun for the whole family. This All Inclusive 5-star hotel in the Riviera Maya is located within a luxurious and exclusive golf community in Playa del Carmen. Golf lovers will love this places, but in addition, The Royal Haciendas All Inclusive Plan will allow you to enjoy the best views of the Caribbean Sea, exclusive amenities in your villa or suite and other resort facilities such as swimming pools, spa services, restaurants and more.